Stop booking all those who deny and distort the established science on climate change. People who mislead the public on climate change should not be on the news. Period. 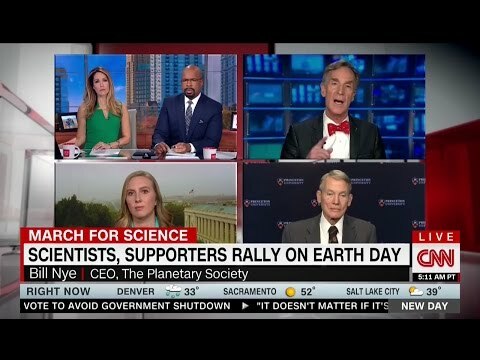 Yet, on Earth Day, CNN's New Day Saturday program featured William Happer, a well-known climate denier who used his time on CNN to state that carbon dioxide isn't a pollutant, but is actually beneficial to the planet and claimed that the Paris Agreement was akin to Britain's appeasement of Hitler. We've seen this kind of irresponsible reporting before — and we know that when viewers speak out, news directors listen. Tell CNN: Stop booking climate deniers on your programs immediately.